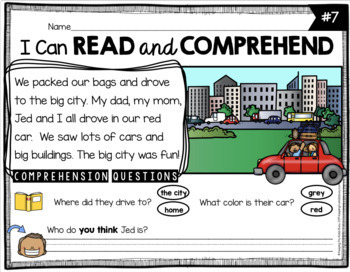 This unit is everything you need to help primary students with fluency, vocabulary, sight words, comprehension and writing! These activities work well for kindergarten, first grade and second grade. ★ 10 reading passages are included. These adorable stories all come in both color and BW. Each reading passage has the same format with “answer is in the story” and “answer is in your head” comprehension questions. 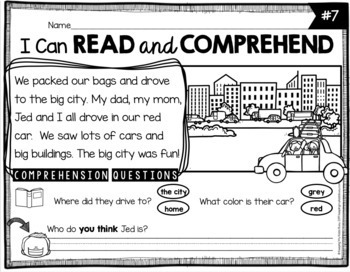 This helps students understand how and where to find the answers to comprehension questions. ★ Each passage comes complete with pre-reading activities. I set their reading stage by asking a series of questions to build their background knowledge and help students activate their schema. This also helps them connect to the topic we will be reading about and gets students excited to learn! We then go over the vocabulary (3 words) that they will be seeing in our story. ★ Every topic also comes with a pre-writing activity. Students are asked to draw an illustration and write a sentence that connects with the theme of our story for the week (you can also complete this activity after you read the story). 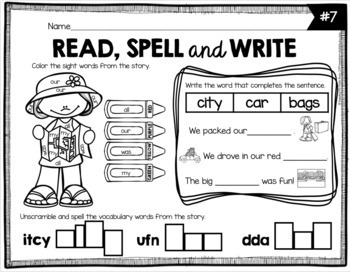 ★ Follow up reading and writing activities are included for every reading passage. We complete these after we have read the story. The format stays the same so students know what is expected. This saves me time from having to repeat directions and students appreciate knowing what they need to do. They color a picture by sight words, use context clues to complete sentences with words from the story and unscramble vocabulary words. 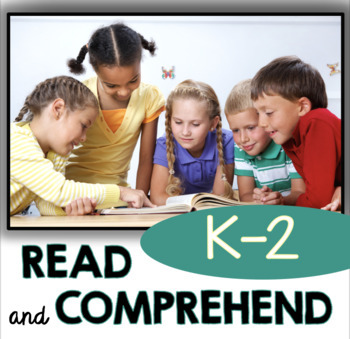 These high interest reading passages and activities will build student confidence, improve fluency and comprehension as well as work on sight words, vocabulary, writing, and problem solving skills. I hope you enjoy these activities as much as we do!